a3Genealogy: Germans Emigrated to Russia? FamilySearch Wiki explains it best. There were four eras that provoked a mass exodus from Germany. Germans were searching for more acceptable conditions, and were escaping economic hardship, religious persecutions, crop failures, wars, military service, and high taxes. By the 1760’s, the Russian czars offered the discontented Germans “free land, exemption from military service and taxation, an, to an extent, religious liberty. Religious liberty wooed the Mennonites (1850’s), and with the assistance of several other waves of mass exodus, the population of Germans in Russia increased “to an estimated one hundred thousand” between 1763 and 1862. Many immigrants arriving in the United States from Europe were ethnic Germans who had immigrated to Russia in between 1765 and 1824 , and the Odessa German - Russian Genealogical Library assist the researcher in locating these ancestors’ records. 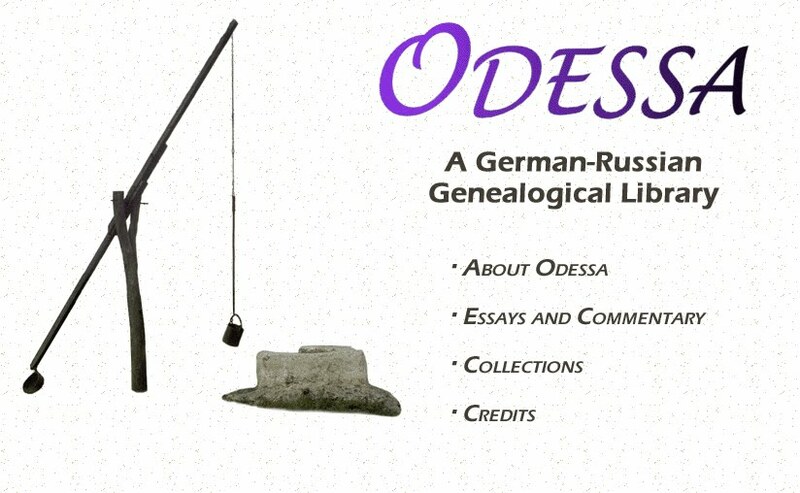 Along with an online search feature of the Odessa Library , there is a full complete library document index. The searchable database is placed in categories, i.e. church records/congregations, extracted obituaries, and even wonderful land records that are most useful, when searching for that German-Russian ancestor living in the USA. Many US German immigrants took advantage of the open lands of the Midwest. And, the Land Records of Kansas, and the Dakota’s on the Odessa website provide detailed indexes of plat maps and extractions (KS) of the various popular German-Russian immigrant settlements. 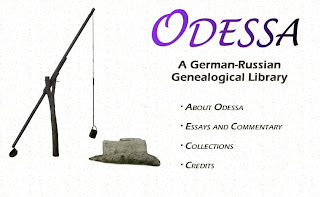 Most researchers who have ancestors of German-Russian origins immigrating to the USA probably have already used Odessa German-Russian Genealogical Library. However, to highlight the benefits of this searchable website may assist those who are trying to find just a bit more on that beloved ancestor. Also visit Researching Germans from Russia Ancestors? Thank you for this link Kathleen! I am married to a 100% direct descendant of Germans who migrated to South Russia and then Manitoba and can't wait to check out this site! !